Are you ready for a new culinary festival? One with a never before seen emphasis on craft spirits? We are excited to reveal the amazing craft presence at the inaugural Greater Fort Lauderdale Food & Wine Festival’s Grand Tasting at ArtsPark, Hollywood on Saturday, March 23rd. This festival is divided into several open air experiences, with over fifty craft spirit and beer expressions to choose your sips from, this is a tasting opportunity you won’t want to miss. 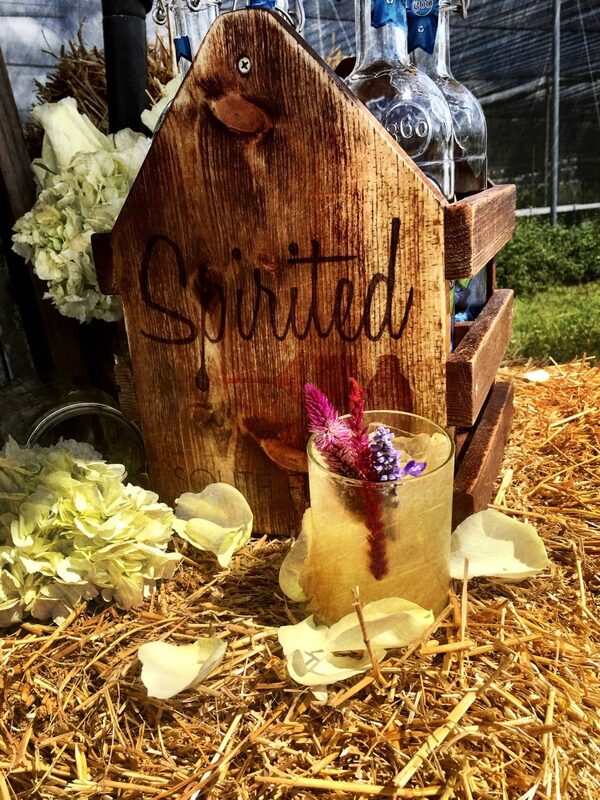 Beverage partners include a wide variety of wines, beers, liquors and (my favorite) craft spirits from celebrated brands to local breweries and distilleries. Some of the most talked about craft brands join the festival and are highlighted below. Bungalow 954 – Backyard at the Beach Taste Americana with GFL‘s biggest, boldest BBQ + burgers paired with spirits, beer and cocktails: Bourbon, Whiskey, Rum, Rye, oh my. 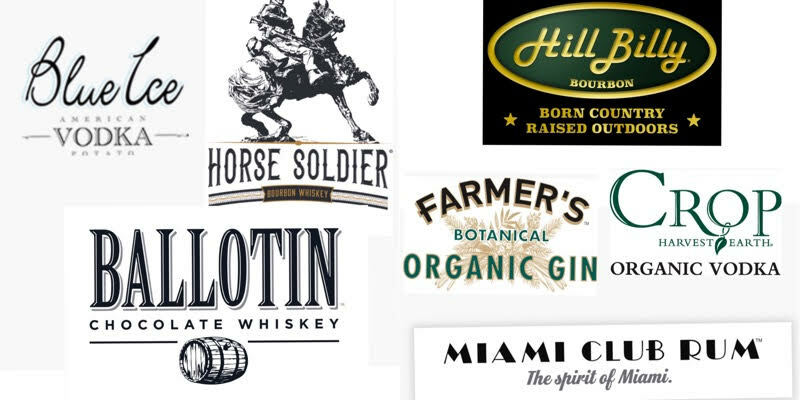 Festival guests will sample expressions from Horse Soldier – the Official Bourbon, High West Distillery, Heaven’s Door Bourbon, HillBilly Bourbon, Michter’s Rye, Whistle Pig Rye, Old Forester Rye, Slane Irish Whiskey, Herradura Ultra, Belle Isle Moonshine, Ballotin Chocolate Whiskey, with Loch Lomond and Glen Scotia Scotch. 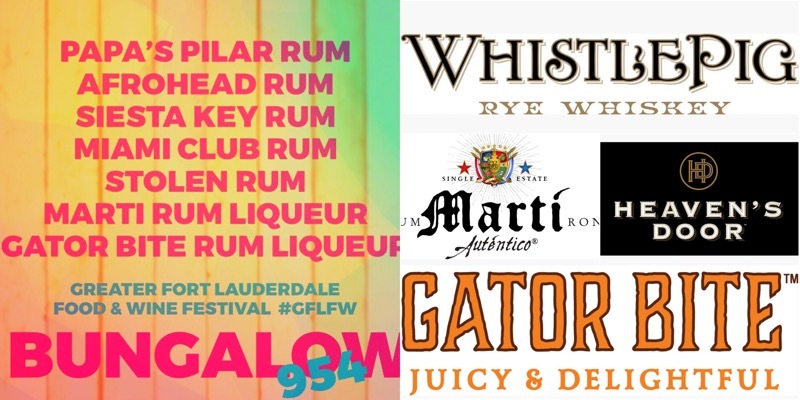 They will also get to taste delicious rums by Papa’s Pilar Rum, Afrohead Rum, Stolen Rum, Marti Rum Liqueur, Gator Bite Rum Liqueur and Miami Club Rum. In the Rosé Garden + Bistro guests can Rosé all day the European way. They’ll experience elegant edibles from Italy and France with continental cocktails, wines + bubbly. But that’s not all. 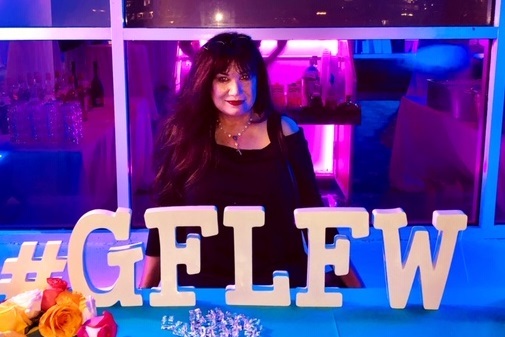 They’ll also sample vodka and gin from Blue Ice Vodka, 44 North Vodka, Farmer’s Gin + Crop Organic Vodka, Prairie Vodka, Siesta Key Rum and Brooklyn Gin among other stellar brands. Olé Olé! The Cantina at the Grove spices up your experience at a Latin infused cantina bursting with delicious flavors from Mexico, South America and Spain. 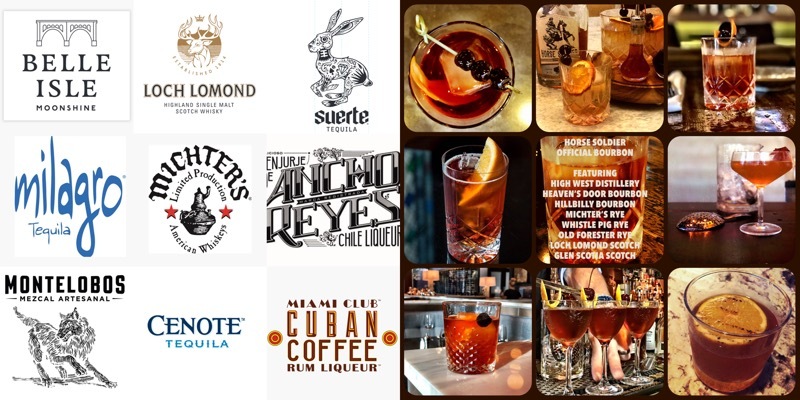 Sip mouth watering tequila, agave and smoky mezcal from Milagro Tequila, Montelobos Mezcal and Ancho Reyes Chili Liqueur plus Suerte Tequila, Cenote Tequila, Stoli Vodka Mules and Abita craft beer. #GFLFW didn’t forget craft beer lovers. They will enjoy samples from Funky Buddha Brewery with their Craft Food Counter & Kitchen, Saltwater Brewery, Hollywood Brewing Co. and Islamorada Beer Company. Festival tip: With so many wonderful brands and expressions to sample, we encourage you to use moderation and bring a designated driver or use ride share.